The “Minus group” - so-called because they produced a magazine called “Minus 8”, “Minus 7”, “Minus 6”… counting down the years to 1984 – was a political group in Hong Kong active in the late 1970s and early 1980s. They were influenced by anarchism, left communism and the counter-culture. They also called themselves the “70s Front” and were involved in a publication called “The 70s Biweekly” (in Chinese). American New Leftism – at least one SDS activist spent time in HK with the group. Chinese Anarchism – from the early years of the twentieth century there was a significant anarchist movement in China, initially composed almost entirely of students influenced by European and Russian ideas but later gaining a much wider influence. The Minus group reprinted material from Chinese anarchists and were also involved in the publication of “classic” European anarchist texts in Chinese. Chinese Trotskyism, through the influence of some older militants who had been active in mainland China in the 1930s and ‘40s (in 1952 all Trotskyists were arrested throughout China). The “ultra-left” elements in the Cultural Revolution. Many of these people were Red Guards at some point but became disillusioned with Maoism, criticising the Chinese regime for being state capitalist as well as semi-feudal. The main focus of their activity was the events taking place in mainland China at the time – the so-called “Cultural Revolution”. There were many refugees from the brutality and chaos of these events who ended up in Hong Kong and quite a few of them were very critical of the Maoist regime – going so far as to describe it as “state capitalist”. “The book is divided into three sections. The first section consists of three essays written from an ultra-leftist standpoint which is basically Marxist-Leninist. The four essays in the second section are libertarian communist. The third section consists of the views of the Chinese ultra-leftists in their own words. The book provides some valuable insights into the political background of the group. Here I provide several copies of their “Minus” publication. Below is a summary of their contents. I’ve also provided an article from the academic journal Modern China (January 1991), which provides useful information about the background of the dissident Red Guards referred to in Minus 7. Despite the poor quality of the printed text (the copies I got hold of were fading and yellowing! ), the sometimes unfamiliar spelling1 and odd mistakes2, these copies of Minus are well worth reading. Many of the texts are worth republishing in themselves (with a bit of proofreading) and I shall be putting some of them (along with other stuff that the group published) up on libcom over the next few months. In particular there are detailed accounts of important historical events, such as the “Tiananmen Incident” of 5 April 1976, which deserve to be made more widely available. Below is a summary of the contents of all the issues of “Minus” provided here. I have only included the main articles. There are also bits and pieces of news here and there – for example, announcements of the publication of anarchist texts – but I’ll let you find them for yourselves. “Hong Kong’s Revolutionary Tourist Guides” – pointing out how tour guides in Hong Kong often reveal far more about real social conditions than official reports do, praising the objectively revolutionary role of some tour guides! “Tien An Man Incident Public forum” – description of a protest held in solidarity with the mass protest which had taken place in Tiananmen Square on 5 April (Qing Ming festival) of the same year, and to condemn the repression which followed. “An Interview with an Ultra-Leftist from china” (also published in the book The Revolution is Dead, Long Live the Revolution). “Miss Universe Contest in Hong Kong” – feminist condemnation of beauty contests in general. “The ‘Save Kim Chi Ha Signature Campaign’” – news about an Amnesty International campaign to support a jailed South Korean writer and poet. “The Purple Tien An Men” – detailed account of the “Tiananmen Incident” (mass protest in Tiananmen Square on 5 April 1976). “Mud Child” – description of a horrific landslide on a slum housing estate in Hong Kong. “The tragic Story of a Political Prisoner in China” – a story of persecution during the Cultural Revolution (reprinted from the magazine Huang Ho, produced by ex-Red Guards in exile in HK). “The Politics of 70s Front” – a brief statement of the politics of the people producing “Minus”, particularly focused on their views of Mao’s China (already on libcom here). “Indonesia’s Political Prisoners” – a look at political repression by the US-backed Indonesian government of the day. “Alternative Press Syndicate” – a one-page description of the “non-profit association of alternative newspapers and magazines begun as the Underground Press Syndicate in 1966” which managed to spread out from the US counterculture as far as East Asia! Letter from Japan denouncing plans to hold ceremonies commemorating the 50th anniversary of Emperor Hirohito’s ascension to the throne. “The Social Personality in Chinese Communist Society” – a refugee from the Cultural Revolution describes the psychology of nationalism and one-party rule in China. “The Greatness of Mao Tse Tung” – Text denouncing and making fun of Mao. “Some Thoughts on the Death of Mao Tse Tung” – A bit more Chinese history, focusing on revolts against the Maoist regime, such as the wave of discontent which the regime recuperated in to the Hundred Flowers Movement in 1956 (which it later aggressively repressed) and the “5 April Incident”, a massive riot in Tienanman Square which had taken place in 1976. “The Beginning of Another Myth” – More stuff attacking Mao, comparing him to Hitler, Mussolini and Stalin! “Labour Day Repression” – comments on the banning of the Mayday demo by the police, and on the (permitted, just about) event on the first anniversary of the Tiananmen Incident (see above). “Marching on the Road to Socialist Democracy” – statement jointly put out by 70s Front and a Trotskyist organisation just before the Tiananmen Incident commemoration event. 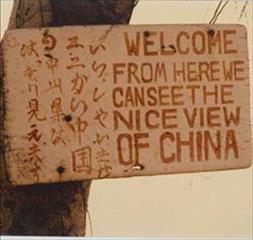 “Reverting the Inverted Facts: our view on the Tiananmen Incident” – statement by 70s Front. “An Open Letter to the Workers in Hong Kong on the First Anniversary of the Tiananmen Incident” – condemning the Chinese government, the HK colonial government and the union bosses. “A Protest Note to the China News Agency” – condemning the Chinese state news agency’s slanders against the Tiananmen protesters. “An Open Letter to the Executive Committee of the Hong Kong Federation of Students” – condemning the Maoists who ran the HKFS, particularly their attitude to (yes!) the Tiananmen Incident! “Reversing the Verdicts on the Tiananmen Incident” – discussion of how bureaucratic factions in China use different interpretations of the Tiananmen Incident to further their own interests, general restatement of need for revolution against the bureaucrats of all factions. “Free Li-I-Che! Free Yang Hsi-Kwang!” [Li Yizhe & Yang Xiguang] – demand for the freeing of two people imprisoned during the Cultural Revolution for expressing criticism of the party-state. Li-I-Che had put up a big-character poster calling the regime “social-feudalistic-fascist”. The statement is made by the "Free Li-I-Che and Yang Hsi Kwang" Action Committee. Confusingly, the name “Li I-Che” [Li Yizhe] was a pseudonym used by a small group of people who put up big-character posters criticising the regime and the most influential member of this group was called “Li Cheng-Tien” [Li Zhentian], but articles in Minus often talk about the collective pseudonym and the real person as if they were the same thing! Yang Xiguang actually ended up serving 10 years in prison and changed his name to Yang Xiaokai when he got out. He eventually became an academic economist in Australia and died in 2004. “An Interview with Fang Kuo, a Friend of Yang Hsi Kwang, Recorded by the Free Li & Yang Action Committee” – background info on how the two prisoners were singled out by the Chinese authorities. “A Brief Introduction to Several Essays by Li-I-Che” – description of varies articles published by Li-I-Che that got him into so much trouble! “What I Know about Li Cheng-Tien, by Pik Tin” – more background info about the repression of Li-I-Che. “Letter from Charles Reeve” – fraternal letter from a communist in Paris. “On The Rise Of Hua Kuo Feng” – discussion on implications of the succession of Hua Kuo Feng to the chairmanship of the Chinese Communist Party. “From Adoration to Rebellion – Looking Back on Mao Tse Tung’s Reception of the Red Guards” – ex-Red Guards reminisce about their insane devotion to Mao and then the beginnings of disillusionment. “Democracy in China” – reminiscences about how obedience to the Party started to break down during the Cultural revolution. “Story of the Butterfly Knot” – an funny story about President Richard Nixon’s wife visiting a Chines kindergarten. “The Heart of a Girl” – amusing story about a widely circulated mildly sexually explicit novel in China. But not so amusing if you lived in China – people were executed for printing it! “Free Li & Yang Campaign – a progress report” – reception of the campaign by students, stickering and postering efforts etc. “Pa Chin” – some very critical comments about the famous Chinese anarchist Pa chin, who had ceased to be an anarchist – indeed, he was praising Mao and Premier Chou En Lai! This is followed by a letter written by Pa Chin which, nevertheless, reveals clearly how the views of writers like him are being suppressed in China. Then there is a text by him entitled “Gazing at the portrait of the late Premier”, in which he once again praises Mao and Chou and says how terrible the Gang of Four were. 1. A note on Chinese names of people and places: nowadays it is common to write mainland Chinese place and personal names using the romanisation system called Hanyu Pinyin (usually shortened to just “Pinyin”. ) This system has increasingly replaced older romanisations such as Wade-Giles and Postal. So, for example, we now see “Mao Zedong” rather than “Mao Tse Tung”; Deng Xiaoping” rather than “Teng Hsiao-ping”; and "Beijing" rather than "Peking". 2. One confusing thing that the Minus Group did was to use "billion" to mean a hundred million - I'm not sure if this is a confusion between English and Cantonese counting systems, but it is just plain wrong! 3. Candidate for “Understatement of 1977” award? The links to the PDF files don't seem to work! Very odd. They're displaying on the side but when you go to edit the post there are no files attached. Can you try to upload them again? Good stuff. "We" used to distribute the Minus news bulletin on this side of the pond. main Asian-Pacific sources for info for many years. Amazing stuff Dan thank you so much for your continued contributions! Added "Minus 8 - September-October 1976". I lied when I said I would add more stuff in the next few months... It's been well over a year. I will go away and write some self-criticism!